Only one thing sends more shivers down the spines of school-aged children’s parents than head lice, and that is mutant head lice. Research from 2014 of lice samples from the US and Canada showed almost all of the insects (99.6 percent) had developed gene mutations making them resistant to common over-the-counter lice shampoos.1 Such shampoos often contain the toxic pesticide permethrin, which should not be placed anywhere near a child’s scalp due to the health risks alone. But now it appears the chemicals will no longer be very effective either. 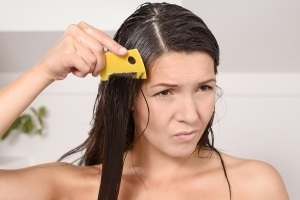 While medicated shampoos are touted as the best way to get rid of head lice, you have to decide whether you really want to slather your child’s hair up with pesticides, especially when they may not kill the lice and there are other effective alternatives. Coconut oil appears to be a useful option, as it’s been found to lead to 80 percent mortality in head lice after four hours. Thanks for this information! I will buy coconut oil so that the Lice will soon vanish.